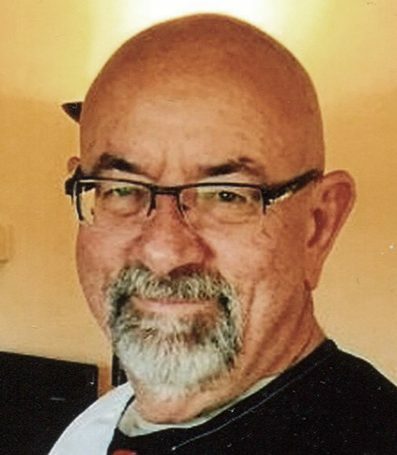 Timothy Lyn Fauth, born October 29, 1951, in Toppenish, Washington, to Aaron and Gladys Fauth, passed into his ultimate rest on Sabbath evening, November 11, 2017. He was 66. Tim facilitated the move from the original Toppenish church on Washington Avenue to its present location, while serving as part-time pastor and working as a realtor. He was instrumental in starting the SWORD Camp at Sis-Q Meadows. He served in multiple capacities at the camp over the years, including being on the board and publishing the Sis-Q newsletter. After going back to school to complete his teaching and master’s degrees, Tim worked in administration and taught science and math in Wapato, Washington, for 16 years. Whether Tim was teaching in the public school system, pastoring, singing, mentoring, organizing food for the Sis-Q camps, or serving on church boards, his love for young people was always in the forefront and apparent in his compassionate care for his students. He had a special connection with each of his students and is sorely missed by both them and staff. During his illness, they faithfully helped with home maintenance, bringing food, visiting, and other things. Tim’s many hobbies included fishing and hunting, along with riding dirt bikes and four-wheelers. His trips to the Oregon sand dunes included his brothers and their families, cousins, co-workers, and anyone who wanted to join in. Lasting relationships and memories were created with those who took these trips. Tim is preceded in death by his mother, Gladys (Tilley-Moore) Fauth, and brothers Mark, Ornan, and Paul Terry. His father, Aaron, passed away several weeks after his death. Tim is survived by his wife, Lintena (Presler); siblings Delores Moore (Henry) Schelert, Amous (Gail) Moore, Nathan (Tamera) Fauth; children Zachary (Rachel Forkel) Fauth, Meghan Fauth (Chad) Ferguson, Lucas (Melissa Klopfenstein) Fauth, and Tyson (Angela Noble) Fauth; grandchildren, Scarlett and Brixton Ferguson; and many nieces and nephews. I have fought the good fight, I have finished the race, I have kept the faith. Finally, there is laid up for me the crown of righteousness, which the Lord, the righteous Judge, will give to me on that Day, and not to me only but also to all who have loved His appearing (2 Timothy 4:7, 8).